Driving during the night is a real challenge. We offer a wide range of polarized and photo chromic night driving glasses that cuts down the headlight glare and adds contrast to the objects. These glasses are developed to make the night travelling less hazardous and satisfy every driver. Your customers will love you for carrying these sunglasses. Order our high quality Night Driving Sunglasses at wholesale prices and maximize your earning potential! Night Driving Sunglasses There are 8 products. Awesome Night Drive Sunglasses with polarized lens. 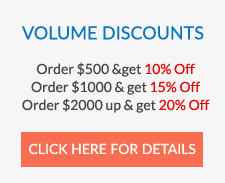 Buy now and get upto 20% discount on all orders. 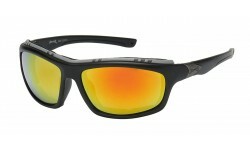 These lightweight wrap style sunglasses are best for bikers and motorcyclists. These sunglasses are available on Sunrayzz Imports in the variety of different colors. 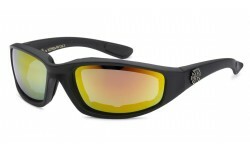 Choppers sunglasses provide excellent UV protection solution and very stylish too carry. Contact us for all your retail sunglasses needs. Order now from Sunrayzz Imports. 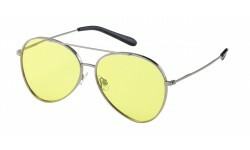 New Night Driving All Yellow Lens Aviators! Non logo from the Air Force brand. Comes in silver and gold frames as shown, adjustable nose pad and plastic ear pieces. These Road Warrior High Definitioin/Night Driving Lens is a sport style that comes with soft rubber nose pads. The fit is extremely comfortable and the frame itself is light weight. Perfect for the person with an active lifestyle, order these shades for your men customers that needs to protect their eyes while offering a brighter contrast to their view. New Night Driving Lens Cover Overs from the Barricade Brand! Order by the dozen now and get up to 20% off. Back in Stock! This is a top selling semi-rimless Road Warrior style with specialty Driving/HD lenses. They come in all black and a translucent brown. They also have a soft rubber ear and nose piece for maximum comfort. A good quality product, and a must have for your selection of men sport wraps. is out of stock. Please delete item from shopping cart.